GroupMe changed our lives in Vegas. Now it's poised to change your lives around the globe—provided you have friends there. The newest version of the groupchat giant adds cross-client support, a new UI, direct messaging, and global reach. Need to talk to your group of friends outside of the US? 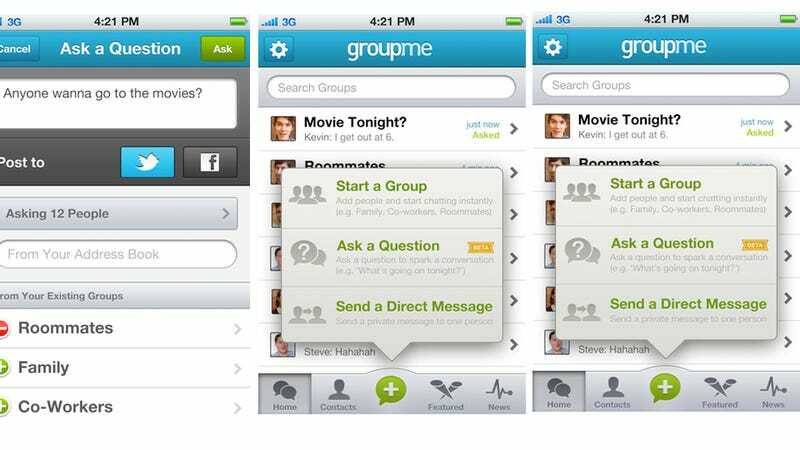 GroupMe can kick that internationally, free of SMS charges. Need to access these pals away from your phone? Need to ask the whole crew a question? Need to get at the clique away from your mobile? GroupMe now has a web connection. Need to hit a member of your crew directly? GroupMe lets you do that too.